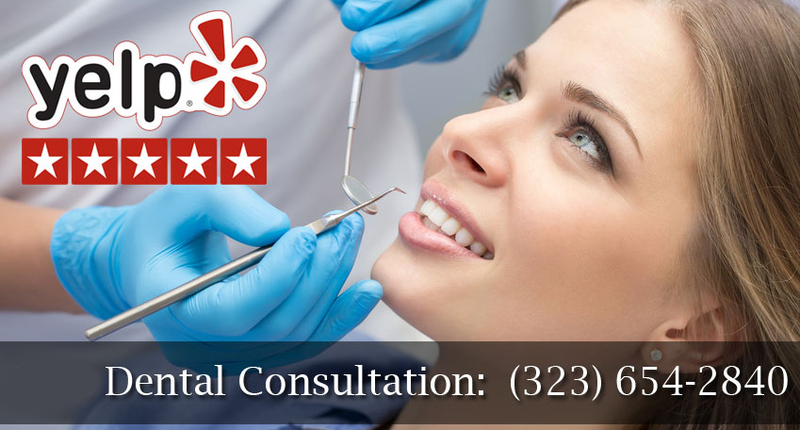 Looking for a west hollywood dental implants Specialist? Dental implants are one of the greatest dental developments from the 20th century. Dental implants are an amazing advancement in dentistry over the past decades, allowing for your lost or missing teeth to be replaced without having to wear dentures. Teeth are often damaged in accidents, due to tooth decay, from periodontal disease or other issues. Dentures or dental bridges once were the only solution for these problems, while many people have just chosen to live with gaps in their teeth. Wearing dentures can be highly uncomfortable, inconvenient and even unhealthy. Many people using these devices suffer significant oral health problems. This is why the advancement of dental implants is so significant, allowing millions of people to have the smile of their youth, or even better than any smile they have had before. Our West Hollywood dental implants Specialists can help you understand the benefits of dental implants. You can be evaluated for candidacy for these devices and to determine whether you need other procedures for the best results. Dental implants are one option for smile and bite restoration. But there may be other options more suited to your situation, such as dental bridges, porcelain crowns or modern dentures with fewer drawbacks than past models. Together with your West Hollywood implant dentist Dr. Bruce Vafa, you can explore your options and develop the right treatment plan for your needs. Dental implants are more than just the "artificial teeth" you see above the gum line. The implants are actually metal posts or frames that are placed into your jawbone through a surgical procedure. Your new teeth are then mounted into these posts by the implant dentist. Because the implants are anchored into your jawbone, these teeth are stable and secure. They also are mounted to appear just like natural teeth, as if they are growing from a natural root below the gum line. Dental implants do not shift or slip, unlike old fashioned dentures. The implant posts are undetectable and your crowns, dentures or bridges mounted to them feel more natural than the appliances your parents or grandparents likely wore. Through the expert care of your West Hollywood implant dentist, you can gain implants for completion of your smile. There are many benefits to having dental implants, such as having a highly natural looking and feeling set of teeth. With dental implants, bone structure can be well preserved for a more youthful look, as can muscles. You will be able to speak, chew, smile and bite as confidently with dental implants as you do with natural teeth. Dental implants are an effective solution for people who suffer discomfort, sore spots, ridges or gagging when trying to wear standard bridges or dentures. With bridges attached to implants, no natural teeth must be ground down or prepared to hold the bridge. Prerequisites for having dental implants installed are healthy gums and sufficient bone to provide support for the implant posts. While you have dental implants, you need to remain committed to a healthy dental hygiene routine and regular visits to the dentist. Most patients with good dental health and overall physical wellness who are missing one or more teeth may benefit from dental implants. The Our West Hollywood dental implants Specialists will discuss your options with you while learning more about your own needs and goals. You may undergo dental X-rays and imaging to fully explore the option of having implants installed. Implanted directly into the jawbone, these are the most common implants. These are surgically implanted into the jaw in one appointment, then a second appointment is scheduled to connect the implant posts after gum tissue has healed from the first procedure. An artificial tooth, bridge or denture is then attached to the post. These implants consist of a metal frame that is attached to the jawbone beneath gum tissue. After the gums have healed from the first procedure, the frame is fixed to the jawbone and posts on the frame protrude through the gums. Artificial teeth are then affixed to the posts. Why are dental implants the right option for you? 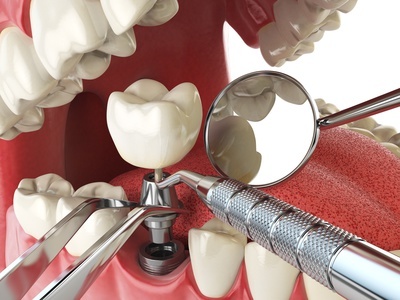 There are many reasons to choose dental implants, versus traditional dentures or bridges. One reason is that the implantation of these devices into the jawbone helps preserve the bone like real teeth. But old fashioned dentures or bridges actually harm your natural teeth. Fixed bridges are attached to adjacent teeth after those teeth have had some of their healthy tooth structure cut away. This weakens natural teeth, particularly as they support the chewing forces of the bridge. Bridges are only expected to last between five and ten years, according to the American Academy of Implant Dentistry. About 30 percent of teeth holding a bridge or partial denture fail, as a direct result of the extra work they must do to support the device. Full dentures slip and limit the types of foods you are able to eat. An implant adds to the jawbone's stability and do not damage existing natural teeth. Dental implants have a 97 percent long-term success rate according to the American Academy of Implant Dentistry. People with implants can also eat whatever they would eat with natural teeth without fear of the implant failing. Implants are placed through a surgical procedure, usually under local anesthesia or sedation under the skill of the West Hollywood Holistic and Cosmetic Dental Care's anesthesiologist. After you are sedated, the implant and cosmetic dentist will make a slit in your gum tissue where teeth are missing. The jawbone is prepared in that region, then the implant is placed into the bone. Once the implant is anchored, the gums are stitched closed to heal. You will feel little during the procedure and it is considered a painless visit to the holistic dentist. For about four months, the implant is left in place and the gums heal. You then return to the West Hollywood cosmetic dentist's office for your new teeth to be inserted into the dental implants. If other specialized procedures were required for your implants, such as bone grafting, your implant placement process may be slightly different. With the exception of children who are still growing, almost anyone can benefit from dental implants. These devices improve your confidence, quality of life, eating and smiling. Your new artificial teeth are undetectable to people around you and you care for them just as you would natural teeth. Call today and schedule a free dental consultation with our West Hollywood dental implants Specialists!